HOW DO I CONNECT & MOVE TO VoIP? WHY CHOOSE COM2 FOR YOUR VoIP? Com2 Communications only use Australian VoIP Carriers. We undewrstand that your voice communications are not only important but confidential! All calls provided by com2 do not leave Australian shores. We know our products and our team know how to build a stable VoIP environment. Call us to dissuss today! Multi-vendor support mean we understand what is required to deliver VoIP to your new or existing phone system. Our team and extended network of PABX engineers allow us to work with your business systems. Avaya, Panasonic, NEC, Samsung, Alcatel, LG Aria and more... Call Com2 to discuss VoIP today! 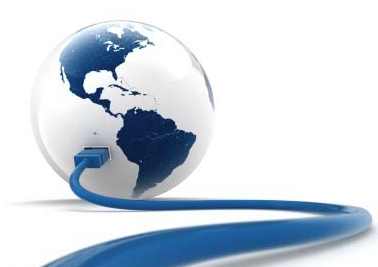 Your business could connect VoIP services in a day or add additional services in hours to you phone system solution. We can assist in managing and migrating services onto the Com2 platform and help you get set up and configured in no-time! We plan & project manage your cutover so you can focus on working! VoIP, or Voice over Internet Protocol, is simply a voice call delivered over a data connection. That data connection could be a large corporate network, private or public network, cable, ADSL or even wireless. A VoIP call can be made from any service connected to one of these networks. Your VoIP call can be made from a desk phone, PC, Laptop, iPad or smartphone. The convenience is that you can use VoIP anywhere! Perfect for light and nimble businesses that need to relocate easily as all you need at each new site is the data connection. It is also an effective option for large corporate organising as it minimises overheads and delivers timely information at the press of a button no matter where you are. Your office can travel with you in your pocket! IP Voice Telephony works by transmitting voice through small packets of data. This is transported and converted by your phone system so that the caller on the other end hears a clear, high definition voice call. Larger corporate organisations can save on monthly call costs from their in-house communications by calling free of charge between sites and reducing overheads by minimising the amount of line rental required. Com2 Communications will analyse your current data and voice infrastructure and identify the feasibility of delivering VoIP into your current PABX and recommend which solution will fit your needs. We will add the features you require such as voicemail, call waiting, call forwarding, voicemail to email, twinning (where your mobile rings at the same time as your desk phone) and smartphone-based VoIP clients for international travellers allowing you to keep your overall communications cost predictable and reliable no matter where your staff travel. Session Initiation Protocol (SIP) is the standard transmission protocol for voice calls to be converted into data calls (VoIP). SIP services can be delivered over your existing data infrastructure, or built in to a private data solution specifically dimensioned for your requirements. Com2 Communications can assist you in delivering SIP services for your business without the requirement for a separate data plan to accommodate. Would you prefer a VoIP enabled system without the hassle of maintaining it, or maintaining any on-premise equipment? You can subscribe monthly to a hosted PABX service, including a handset on your desk, with all the features of a full phone system solution for a fraction of the cost. You only purchase the handsets you require depending on the number of users you in your business, so you have peace of mind that no matter what your needs we will assist your business to grow and adapt as your needs change! Com2 can supply you with SIP services featured with inbuilt automatic redundancy. In the case of a blackout, failure of your telephone lines (e.g. a digger cuts your cables!) or your telephone system, our VoIP services will detect the loss of connection between the SIP server and your telephone systems and immediately divert all your calls to any number you choose. This number could be a mobile number or a series of mobile numbers or another site. There is no need to call your carrier and wait on hold while they organise a redirection, preventing the loss of business by eliminating any down time and saving you time and money! Why Choose VoIP? Because it's AMAZING value! Many clients have saved 30% – 40% off their previous telecommunications costs. Talk to Com2 Communications today to find out more about how we can deliver the same for your business! A VoIP call is not FREE. There are costs to delivering a good quality VoIP call, yet at the same time this transition opens up a lot of advantages for your business! VoIP is only SECURE when it is done right. A cheap, no-name provider could cost you literally thousands if your system is hacked. Our expert team is here to give you advice and make sure your business is secure. VoIP can SAVE YOU MONEY and be amazing value, but only when done correctly! If you are considering moving your business to VoIP, it can be one of the best decisions you make! However you need to ensure you make the right decision regarding the supplier, installer and the connections you use. Using a low grade ADSL connection (which in most cases is the same quality as a cheap consumer product) for your VoIP phone system is risky depending on how many users you have, as you will not achieve the call quality you need and your callers expect! What type of internet connection do you really need for your business to run as efficiently as possible, and at the same time provide the bandwidth required for your VoIP to run trouble free!